Click photos to enlarge, click "X" to close, click arrow to scroll through images on this page. 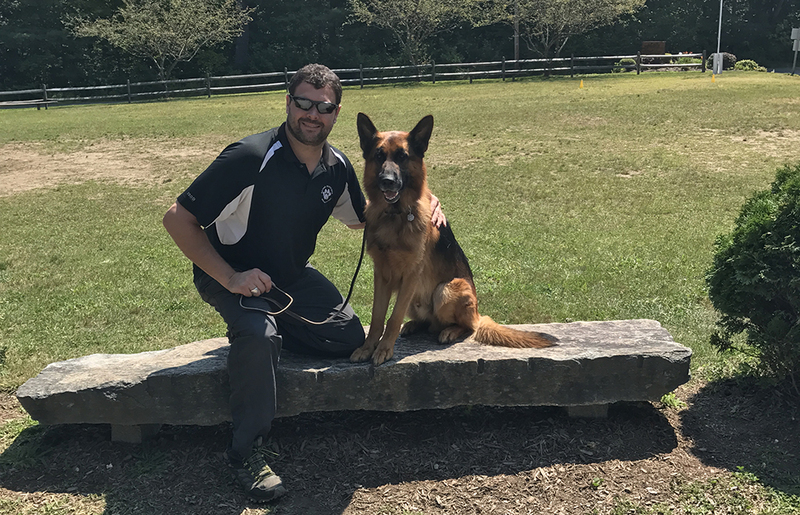 Thank you for giving us such a wonderful dog! We`ve been so incredibly blessed to have added Luna to our little family. After calling and talking to over 10 other breeders around the area and across the country, I was still blown away with how in depth and thoughtful your process was. 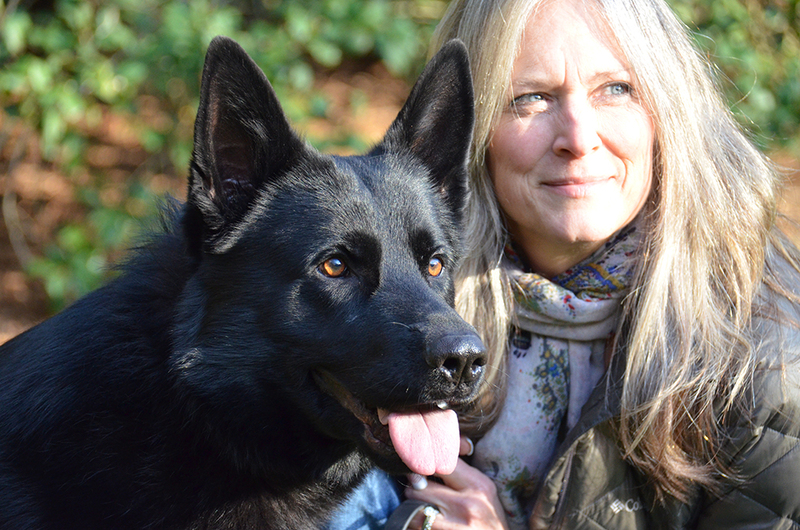 You genuinely cared about both our well being and the dogs and showed your true passion for this breed. You were incredibly helpful when we had questions and made whole process a breeze even when we threw curve balls. 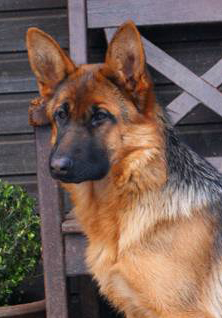 Our first German Shepherd was a bit of a lone wolf. But the day we brought Luna home, that all changed. Luna was kind and loving from the start. 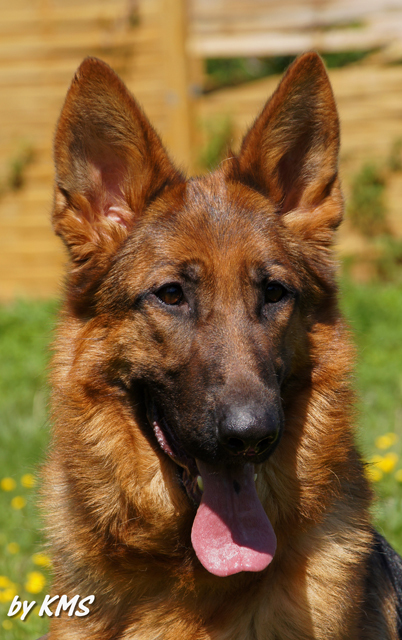 Her temperament is nothing but exemplary and she continues to amaze us with how fast she learns and obeys. She is also BEAUTIFUL to boot! 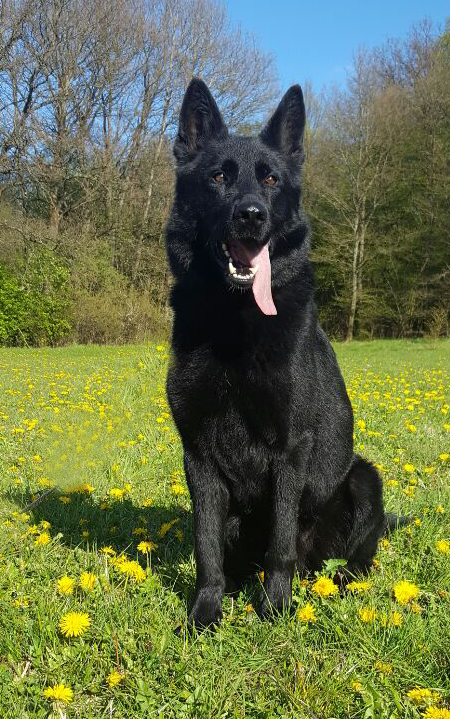 We all know that as owners we are bias, but bias or not - she is nothing but stunning. Thank you for all your hard work, your patience, and your sacrifice. 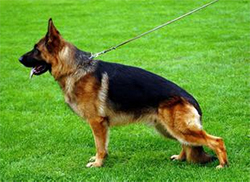 To anyone thinking of adding a German Shepherd to your home. Go no further. Our second GS. Roger was given a list of requirements from us for the puppy we were to have. It was rather crazy trust to a degree --normally I'm not capable of having. So, Rehema is now 3 May 5th. Oh my, we love her. Her Dad and Mother were ScH 3 dogs .. to get the Pink paper in Germany --5 generation on true great health are required or they can not be registered. Life is 14 to 16 not 8 like the GS here. 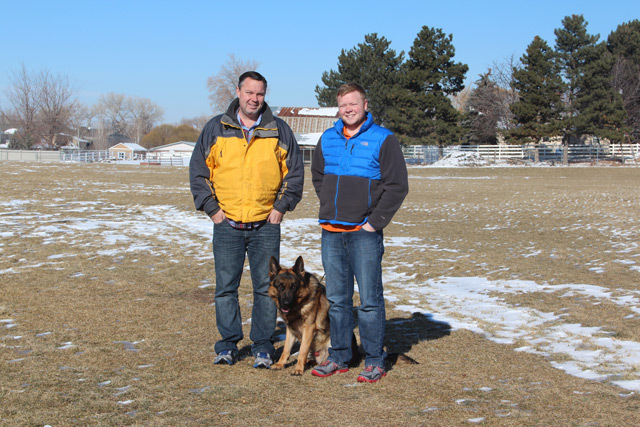 The best way --Is to pay the price for a 2 year old trained by Roger's Training Program. Expensive but you know all. 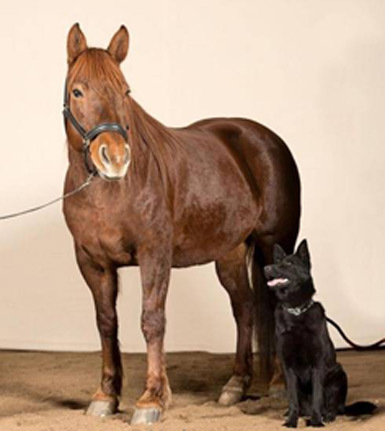 Also be the dog you dreamed that you could make --which you will not do. 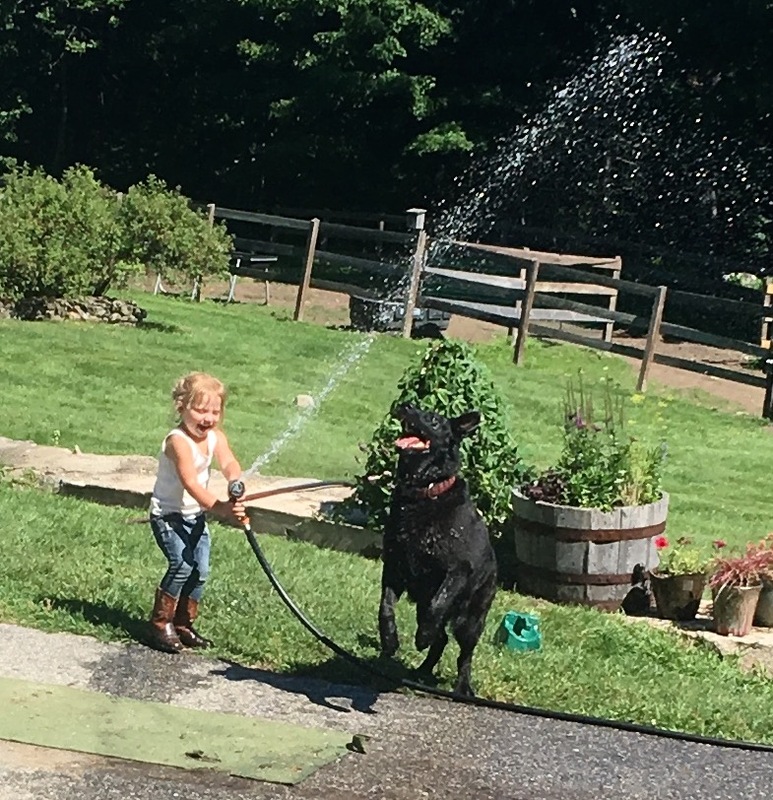 We got the puppy but immediately Had a trainer. She spent 3 month learning daily. Then follow on for another 2 months. She will do most anything you ask of her. Gentle, Smart , and Just a Sweet Girl. Inside of her though is an inherent knowing --she would protect her family if required without question. I have grand children --She follows them around constantly when they visit and they can pull her eyes and she just loves them anyway. This Exceptional Male has been Sold to Our Client in CALIFORNIA, His Temperament and Credentials are second to none! 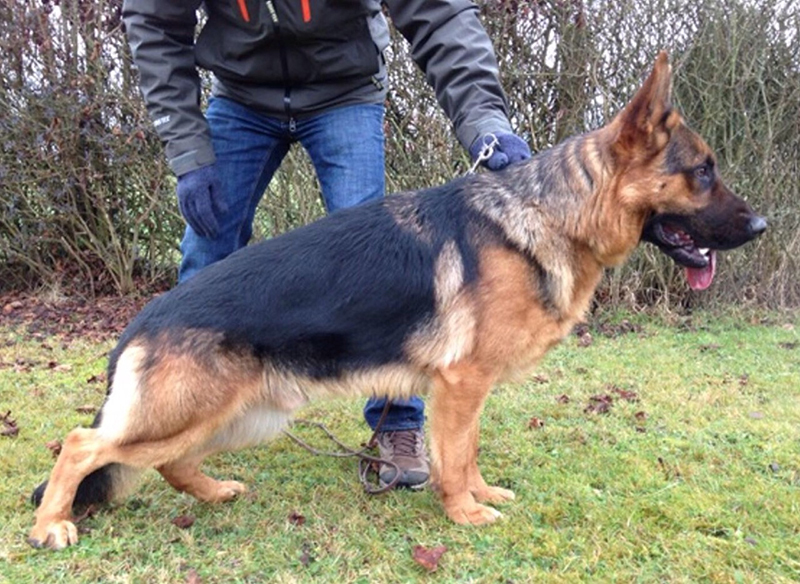 Top Well Proven VA and V German Sieger Lines. 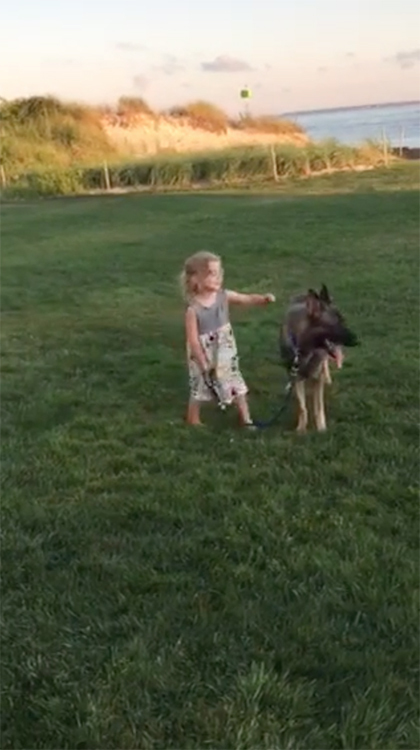 Another Well Trained Super Quality TRAINED GERMAN SHEPHERD From The ZWINGER VON HIMMEL PROGRAM. SERIOUS Inquiries are Welcome to Contact Us by Phone at 207 843 5405. 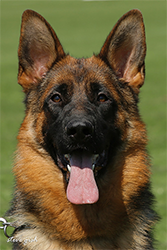 Please Read Our Website Before Contacting us, Experience the Zwinger von Himmel Difference, Speak to Our Clients All Over The World, They Can Tell You First Hand About The German Shepherds we place with them and our Professionalism. I am in receipt of Wegas' pink papers. Thank you. We have been very busy since picking up Wegas 3 weeks ago, otherwise I would have written you earlier. He is everything we asked you for, as promised. 3 days after picking him up at LAX we drove to San Diego. He quickly learned how to be a passenger in the back seat, taking new cues to manage starting, stopping, and turning. We took him to the home of the Chancellor of UCSD for a nice reception for VIP guests. The Chancellor was extremely impressed with Wegas and commented that he looked like he had been in the family for years! We then went to dinner at The Marine Room, a fancy place on the beach in La Jolla. He was so cute as he negotiated the stairs down, I suspect because of the peculiar lighting. His manners were impeccable. On the way out, one of the patrons asked if she cut pet our horse. He is so sweet and adorable with me, and yet he is very appropriate in other situations. When we do errands together, he is very easy. 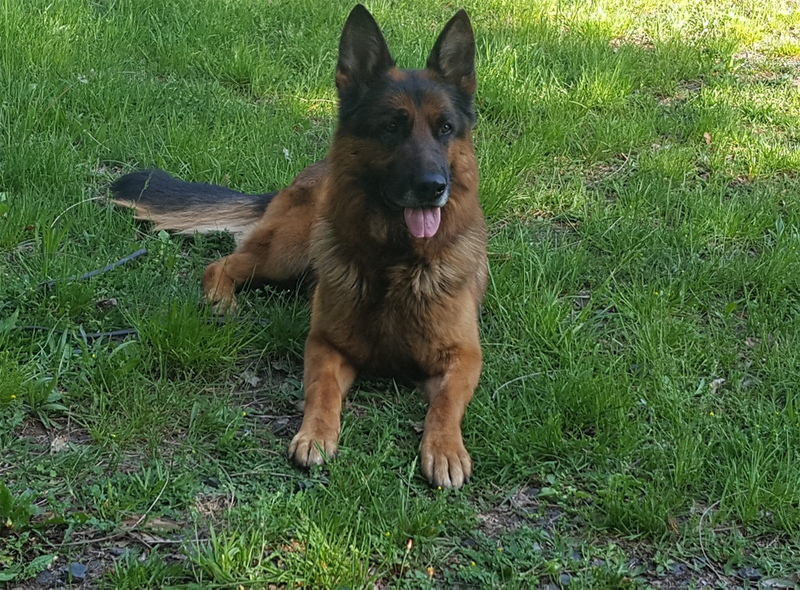 When strangers ask to pet him, after I allow it he will only allow the stranger to touch him transiently, certainly never looking at the stranger's eyes and always with a message of "OK, I allowed it, enough is enough." 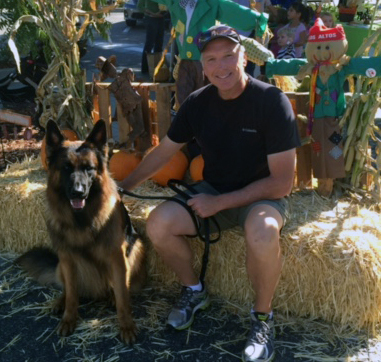 I take him for a mile walk in the morning in the Santa Monica mountains. He does #1 and #2 and is set for the day. He likes the food with chicken or he really likes a charcoal broiled burger on top. His weight seems still slightly less and I have decreased the topping. After some relaxation after the afternoon meal, I take him again for another mile walk. He loves to get exercise that way. When he meets other dogs, he is supremely confident, even with poorly behaved dogs. On errands, people are impressed with his majestic appearance and presence. He brings people out just to partake of his presence. Roger, thank you again for giving me a wonderful fully trained dog with an INCREDIBLE temperament. We look forward to meeting you in person soon. 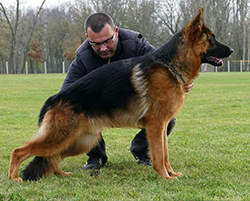 MANY TIMES GERMAN SHOW RATED, Well Trained Protection, Obedience and Tracking Titles. 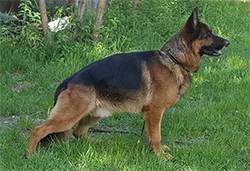 Top Structure, Excellent Temperament, Good Bitework, Good with Children, HIGH QUALITY PROVEN Male From the ZWINGER VON HIMMEL Program. SV German Pink Paper Pedigree. Proven Bloodline. 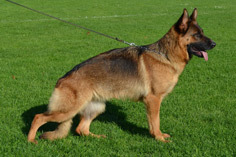 WE HAVE OTHER TRAINED GERMAN SHEPHERDS AVAILABLE. SERIOUS INQUIRIES PHONE 207 843 5405. References Available. 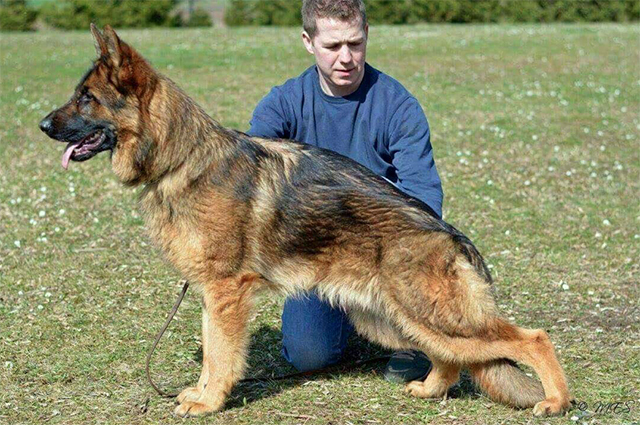 I want to tell all of those GSD people frantically searching the web to find a fantastic dog stop looking because you have arrived at the best place. I have done research for months and months have called 6 different people from Roger's list and they all said the same thing. 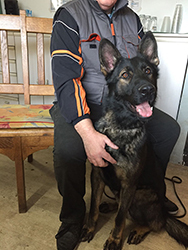 Roger has awesome dogs and will hand pick the right dog for you. 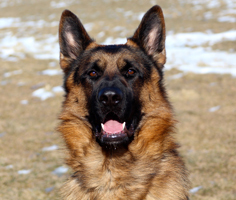 His dogs aren't cheap but you will get the highest quality GSD there is. 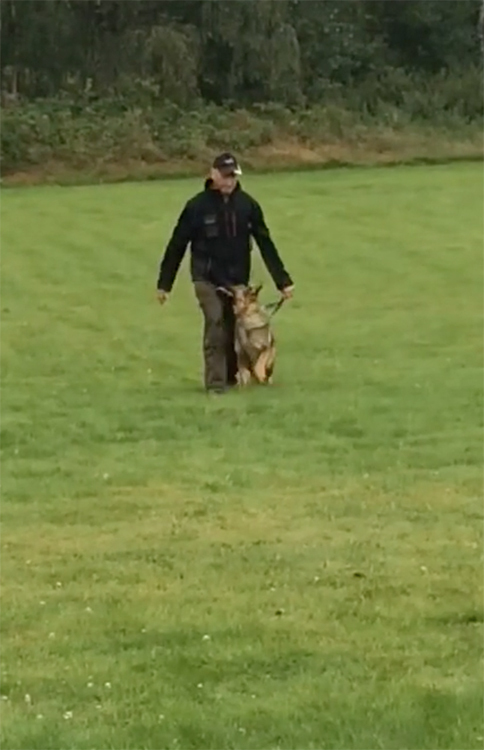 In my case I was looking for a trained GSD whom I could bring everywhere and not have to be concerned that he would be aggressive. I am a physician and plan to take Zeno to work, out to dinner, malls etc without the worry of aggressiveness. Well Roger came through. Not only is he well behaved, obedient, level headedness and devoted he is beautiful. So stunning to the point that no matter where I go people stop me constantly showering Zeno with complements about his looks. He's like a rock star. Thank you Roger ! 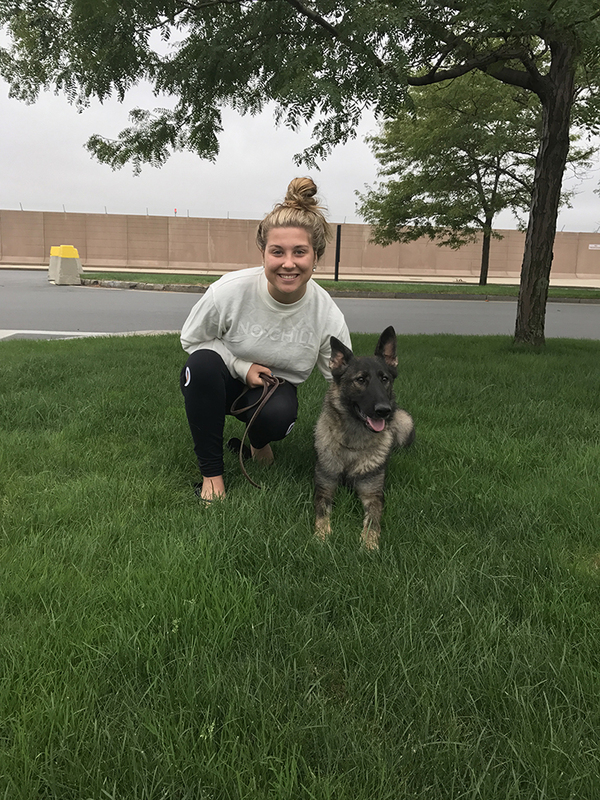 please feel free to email me for questions about Roger's GSD! 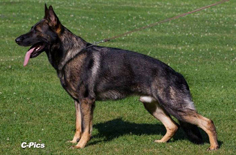 WE HAVE AVAILABLE TRAINED GERMAN SHEPHERDS. Please Read Our Website Before Contacting Us. REFERENCES AVAILABLE. WORLD WIDE SHIPPING. 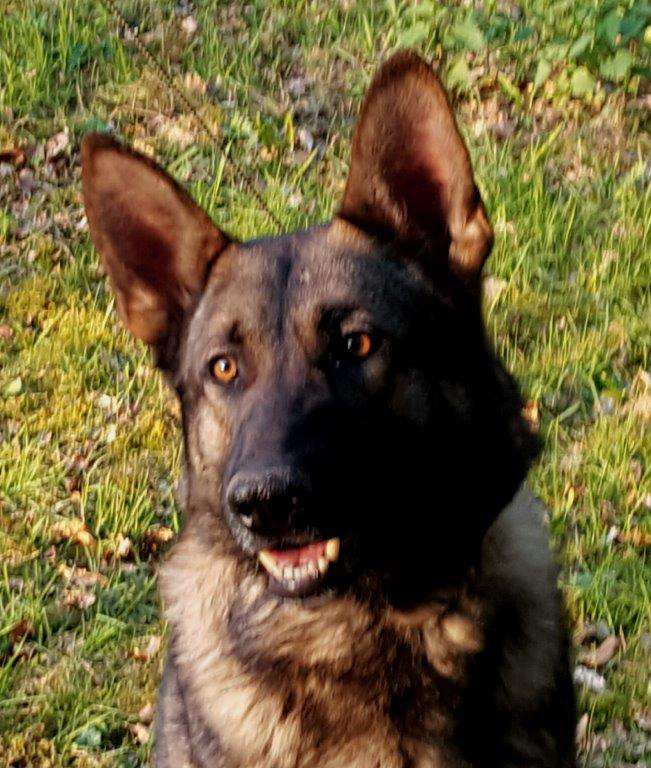 I have been meaning to send you a update on Maffay. As you may remember you sent Maffay out to us in California in February of last year. 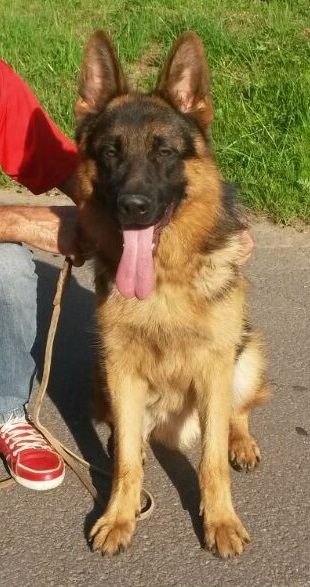 We have had him now for 18 months. He is the best.. I take him every where I go. At work he lays under my desk and gets along with everyone. 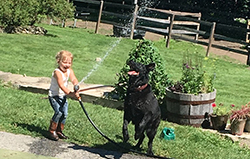 He is great with other dogs. 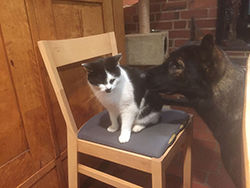 And our two cats and him are best friends. He loves to ride in the car and is very protective of it. If anyone come up to the car when we are in it. Boy he lets them know to stay way. 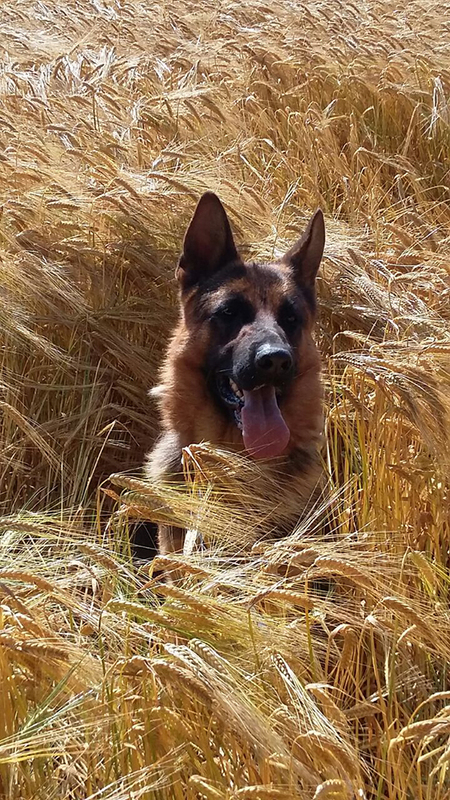 Maffay has free run of our fenced in 2 plus acres of property and loves to chase the squeals. He's a very happy dog and I can't thank you enough for finding him for me. 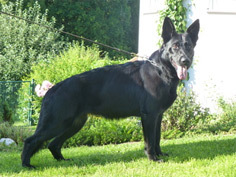 Excellent Temperament on this Black and Red Female, She is Good with Children and in Family. 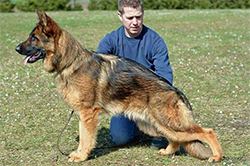 Well Proven German Titled Bloodline. SV German Pink Paper Pedigree. SERIOUS INQUIRIES PHONE 207 843 5405. 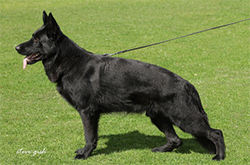 This Beautiful Black and Red Female has an Excellent Temperament and Character, She is Easy to Handle, Great for Shows, Additional IPO Training, Good with Kids, Travels well, Great for a Family that wants a Trained German Shepherd that is High Quality with TOP German VA and V Credentials!!! 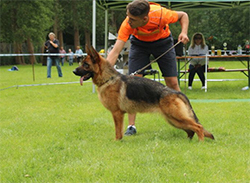 Excellent Temperament, Good Bite Work and Courage,This is a Nice Dog Started in Training, Good with Kids, Well Proven, Titled Bloodlines, Very Good Structure and Head. SERIOUS INQUIRIES Please Phone 207 843 5405. 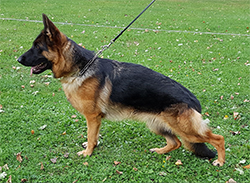 This Female has an Excellent Temperament and Character, Good with Kids and Well Trained, SV German Pink Paper Pedigree, Good Bitework and Grips. She is a well structured female. Obedient and Likes to Train if one wants to continue with titles as she is well proven already.Good for a Family Looking for a Trained dog. A Nice Trained German Shepherd that is clear in the head and a Quality dog. SV German Pink Paper Pedigree. VA and V Proven Bloodlines. 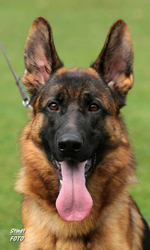 He has an Excellent Temperament and Character, He is Good with Children. 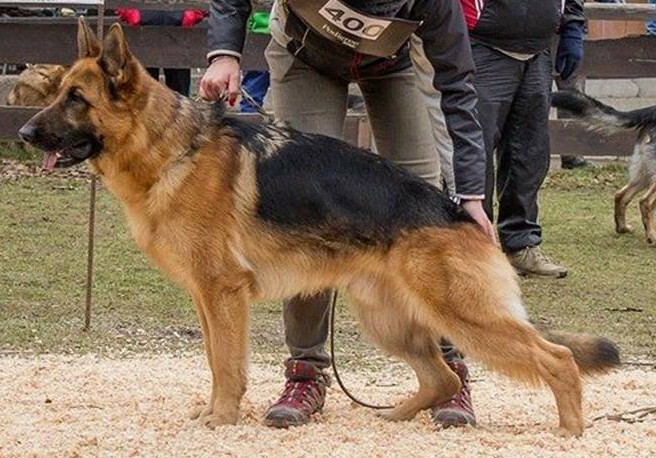 Obedience Training Title and well socialized. 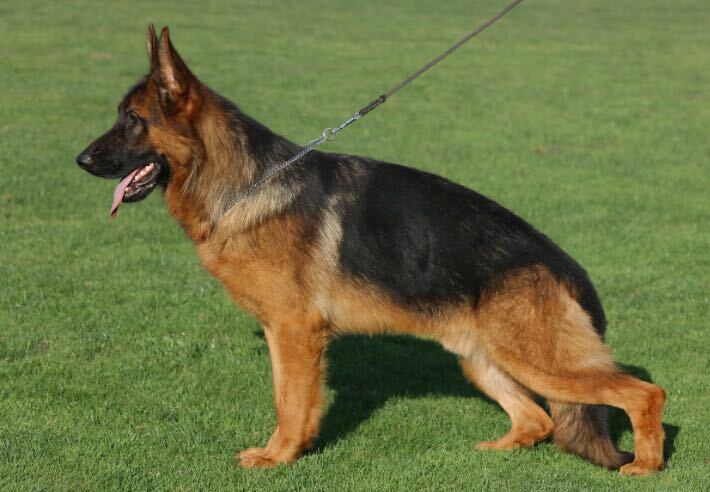 Another High Quality German Shepherd From Zwinger von Himmel. 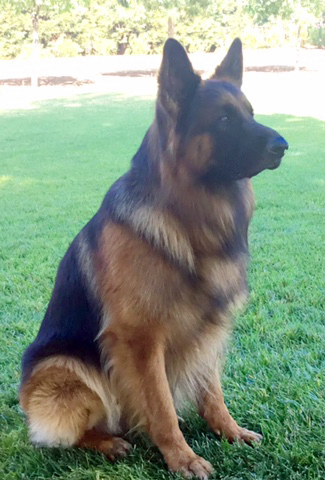 This Exceptional Male has been Sold to Our Client in CALIFORNIA , His Temperament and Credentials are second to none ! 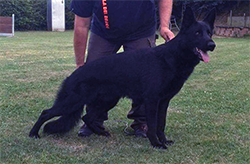 Top Well Proven VA and V German Sieger Lines. 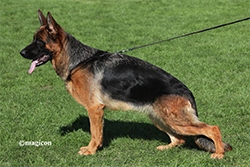 Another Well Trained Super Quality TRAINED GERMAN SHEPHERD From The ZWINGER VON HIMMEL PROGRAM. SERIOUS Inquiries are Welcome to Contact Us by Phone at 207 843 5405. Please Read Our Website Before Contacting us , Experience the Zwinger von Himmel Difference, Speak to Our Clients All Over The World, They Can Tell You First Hand About The German Shepherds we place with them and our Professionalism. 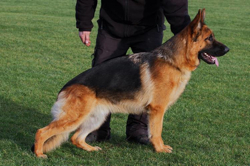 Super Temperament, Quality and Pedigree! Certified Hips and Elbows. For a High Quality Trained German Shepherd, SERIOUS Inquiries Phone 207 843 5405. Trained in Obedience, Protection and Tracking Certified Hips and Elbows. 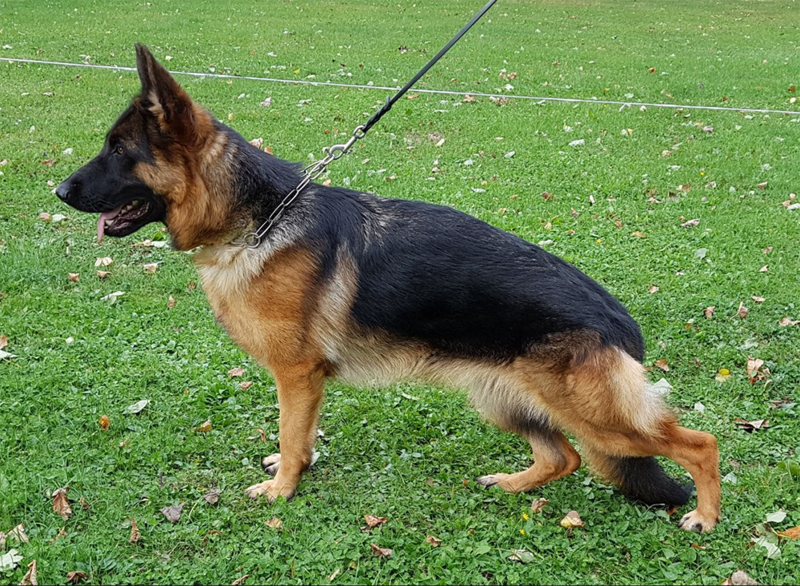 This Titled Female has Excellent Temperament and Courage, Very Good Bite work and Well Proven SV German Pink Paper Pedigree! Family Watchdog, IPO Work, A Well Accomplished West German Working Line Black Female. 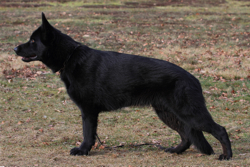 Trained in Obedience, Protection and Tracking. Certified Hips and Elbows in Germany! SERIOUS Inquiries Phone 207 843 5405 for more information. Please Review All The Pages of Our Website Before Contacting Us By Phone. Another High Quality German Shepherd From the Zwinger Von Himmel Program. 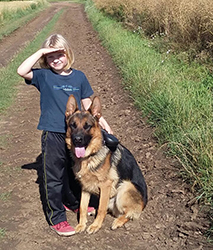 Zwinger Von Himmel Is Successful in Placing Exceptional Quality German Shepherds on All Training Levels Worldwide. References Available. 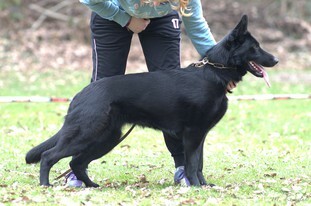 This Black and Red Female is Obedience and Protection Trained, Very Good Bite Work and Courage. 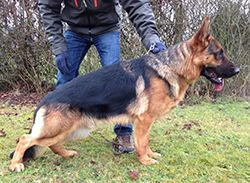 She is Also SG German Show Rated (Very Good) Conformation. Certified Hips and Elbows in Germany. High Quality West German Bloodline. 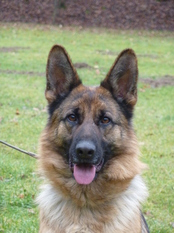 Super Temperament and Great with Children. Serous Inquiries Phone 207 843 5405. 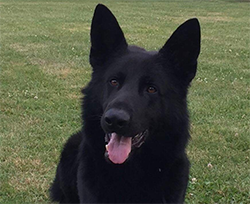 This Male has an Excellent Temperament and is also Started in Protection work with Very Good Bite Work, He is Good with Children. Good For Family, Shows, IPO Work. Well Proven West German Bloodline as All Our German Shepherds are. SV German Pink Paper Pedigree. SERIOUS Inquiries Phone 207 843 5405. References Available. Please review our website before contacting us. I hope you are doing well. Mr. Cliff arrived safely to the US. Tina brought Cliff to the office for a meet and greet today. He is such a loving little man. He will be very loved and taken care of here in the office and at his new home. 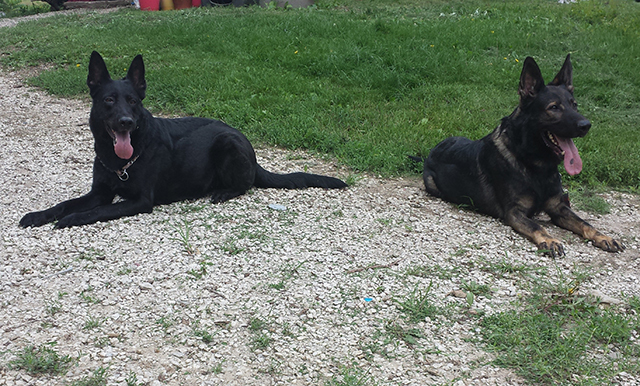 I can't believe the difference from a German, German Shepard and a US, German Shepard. He is a beautiful dog. The pictures you sent a while back did not do him justice. Thank you for sticking in there with us on this transaction. 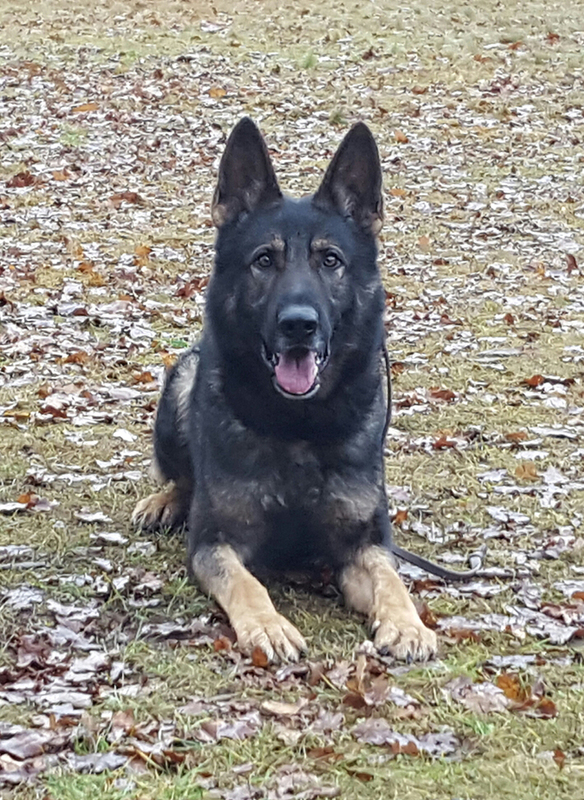 We greatly appreciate you and the work your group has done with Cliff. 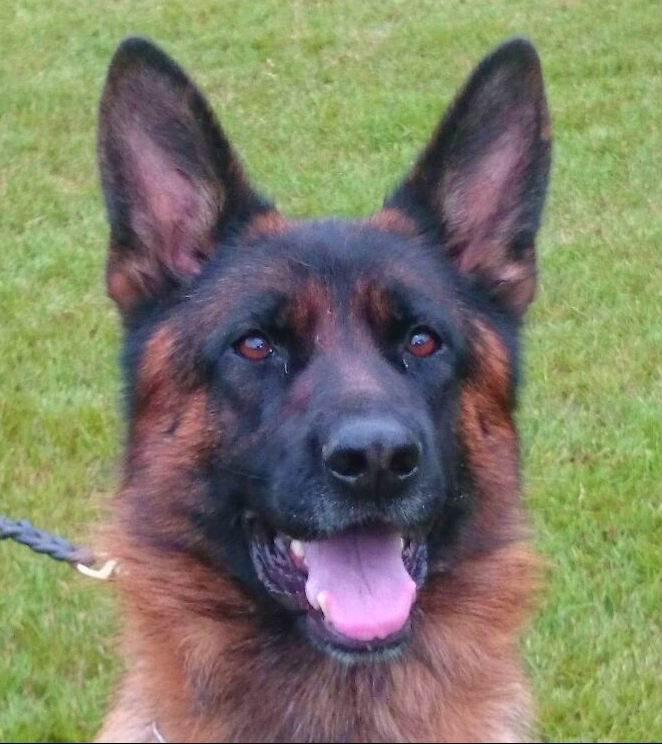 He will be a delight for us here in the office when he comes to visit. I hope you can see the picture attached. Have a good evening. 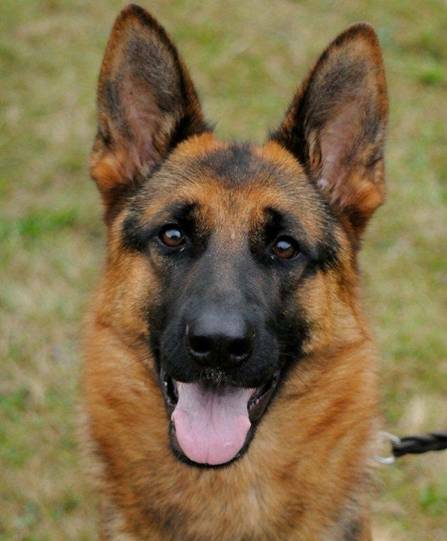 Excellent Temperament and Character! Good with Children, Obedient and Well Trained. Family Protection and Companion. Another High Quality Proven Trained German Shepherd From The ZWINGER VON HIMMEL Program. 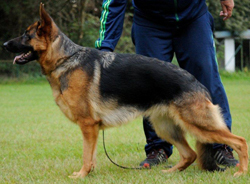 This Female is Well Trained and has an Excellent Temperament. 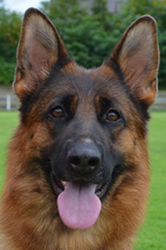 Very Good Head and Conformation. 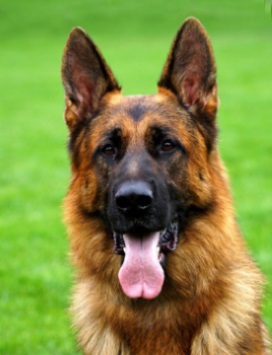 Good with Children and Good Family Watchdog. 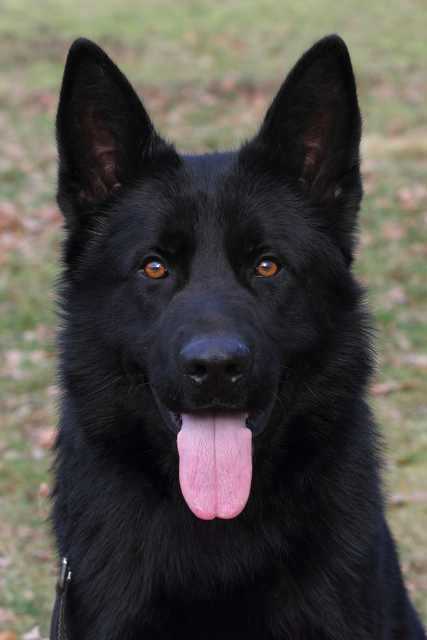 Obedient and Excellent Character. 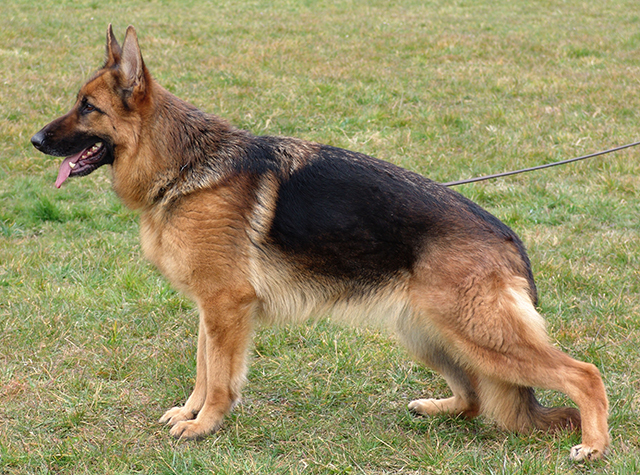 A Proven German Shepherd. SV German Pink Paper Pedigree. SERIOUS Inquiries Phone 207 843 5405. References Available. 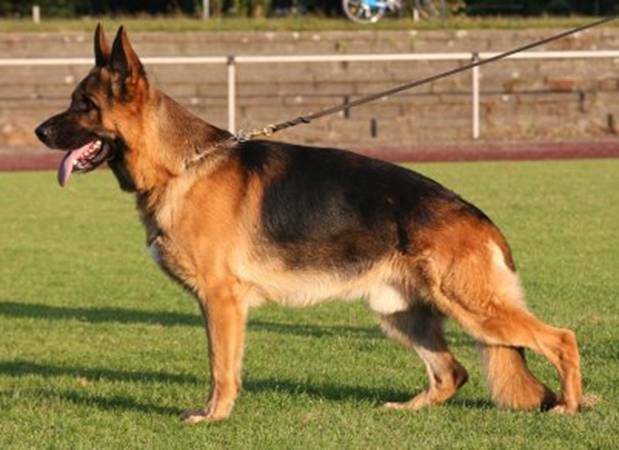 Good with Children, SV German Pink Paper Pedigree. Family Watchdog. ANOTHER Proven TRAINED GERMAN SHEPHERD From The Zwinger Von Himmel Program. References Available Worldwide. 207 843 5405. 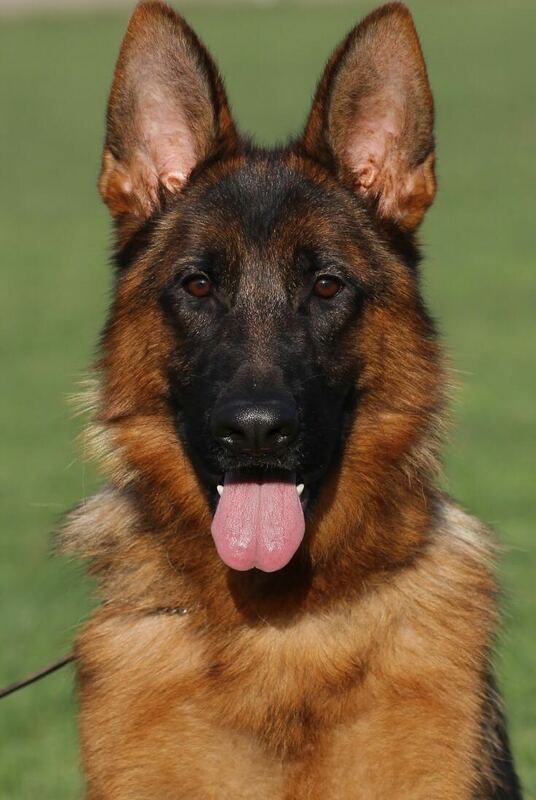 Started in Protection IPO work, Good Bite Work, Excellent Temperament, Good Family Watch Dog. 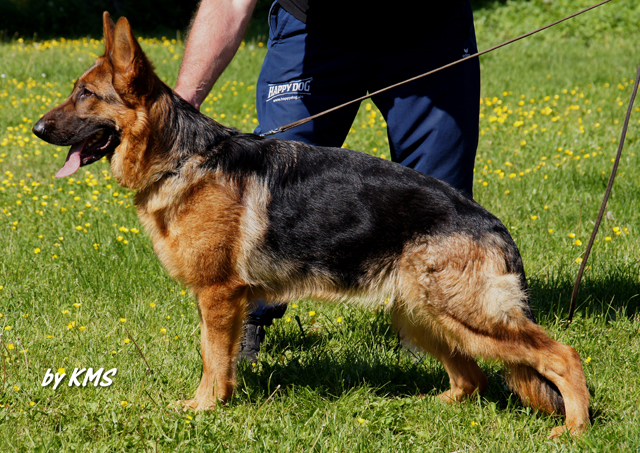 SV German Pink Paper Pedigree, Well Proven WEST GERMAN TITLED Bloodlines! For More Information, SERIOUS Inquiries Phone 207 843 5405. References Available. 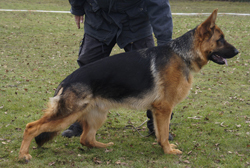 Proven West German Bloodline, Good with Children, Very Obedient, Well Trained, SV German Pink Paper Pedigree. More Information Upon Serious Inquiry. Another High Quality Trained German Shepherd From The ZWINGER VON HIMMEL Program. This Female has and Excellent Temperament, Certified Hips and Elbows, Good Bitework, Good for High Quality Family Protection, Very Good Structure, Continue for Shows, IPO Work, Good with Children. 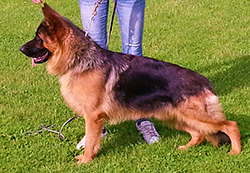 Top Proven Bloodlines, SV German Pink Paper Pedigree. SERIOUS Inquiries Phone 207 843 5405. 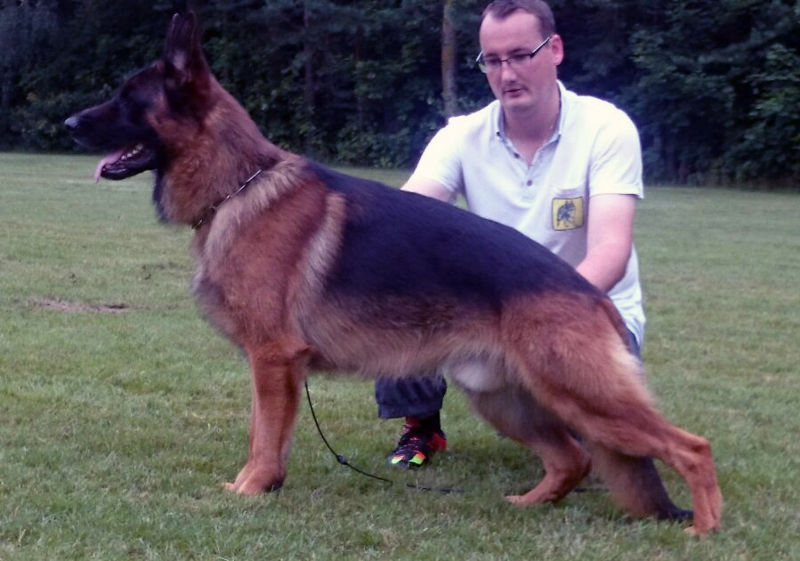 V IPO 2 KKL German SIEGER Show Rated!!! Top Bloodlines. ONLY SERIOUS Inquiries Phone 207 843 5405. Please Review Our Website, Reference's Available Worldwide! Speak To Our Clients About The High Quality German Shepherds We Place with them and Working with us! Worldwide Success! 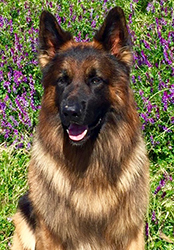 SUPER TEMPERAMENT On This Male with IPO 1 Training Title, Good with Children, Good Courage and Bitework, Family Protection Dog, Or Continue with IPO, Work, Sport, Show! Well Trained, Easy To Handle. Proven Bloodlines. SERIOUS Inquiries Phone 207 843 5405. References Available. This Exceptional Young Male has an Excellent Temperament, Top Quality and Structure. Well Proven German VA and V Bloodlines. For More Information SERIOUS Inquiries Please Phone 207 843 5405. ANOTHER WELL TRAINED GERMAN SHEPHERD FROM THE ZWINGER VON HIMMEL PROGRAM. Please see my comments on the purchase of Odin !! Happy Holidays to you and your family. I will send pictures soon. I highly recommend anyone who is in the need or want to purchase a German Shepherd to contact Roger. I did a substantial amount of research before talking to Roger on the phone. I called other breeders inside and outside the US. 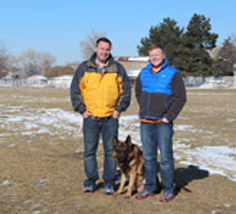 Once I spoke with Roger I knew I was talking to an expert and a person who truly cared about the placement of his dogs. Roger interviewed me regarding my home, work, and personal life to ensure he was placing the right dog with the right family or person for that matter. 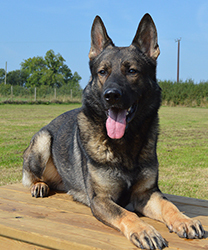 He was very honest and let me know that he will not allow any of his dogs to be placed in any environment that wasn't best for the dog. We continued to talk for a few weeks as he was picking the dog for me. When I say for me, he really takes the time to place the right dog in the proper home. I agree I was a little skeptical thinking about spending the amount of money on a dog before even seeing the dog. However Roger is a man of his word and backs his dogs 100%. After the purchase It was a smooth transportation from Germany. Odin showed up on time as promised and we couldn't have asked for a better dog. 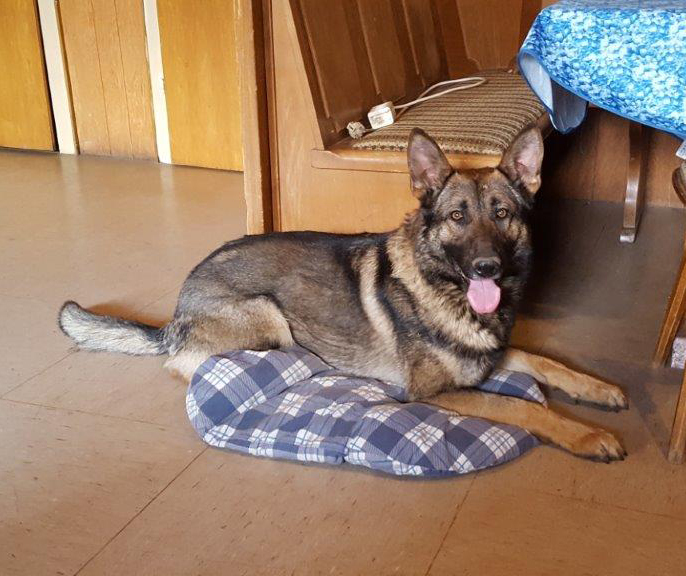 We have had Odin for a little over a month and he is doing fantastic. I can personally say if you are in the hunt for a Top Quality German, Roger is by far the best place to buy from. 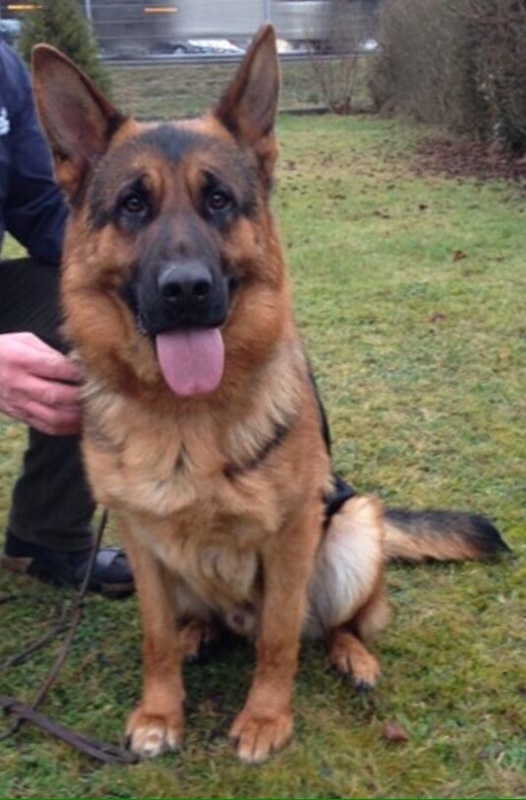 Roger will reiterate that you are now a part of his family for the life of the dog. We are proud of the choice we made by purchasing from Roger. This Exceptional Female is Well Focused and Super Obedient! She has Excellent Grips on the sleeve. She has Fast Attacks and moves well. Highly Controlable, Easy to Handle. 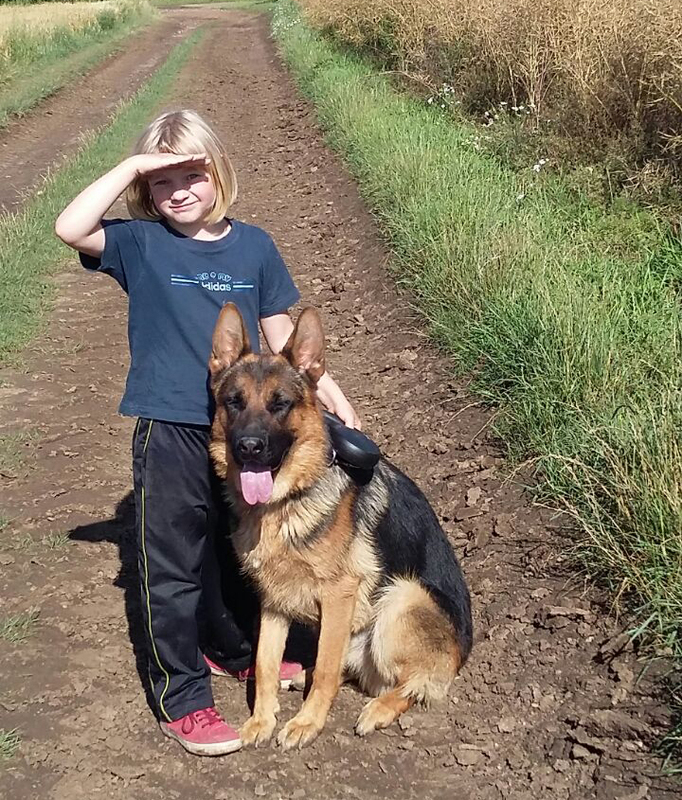 Excellent for Family that wants a Well Trained Protection/Watchdog and/or For Continued Sport / IPO / Competition Work. 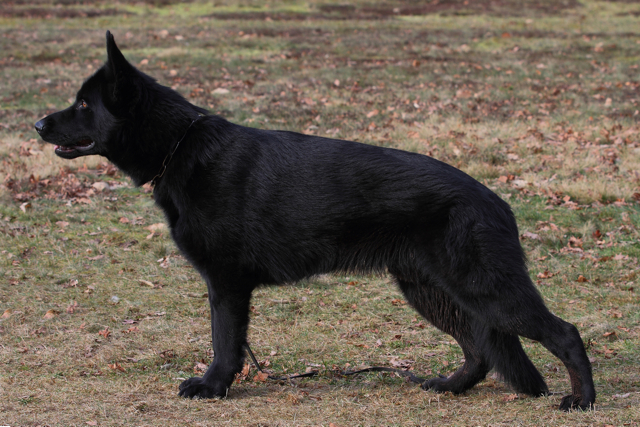 Obedience, Protection and Tracking Trained. Excellent Courage and Nerves! 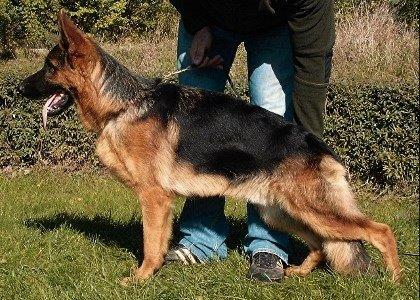 Good with Children, SUPER TEMPERAMENT! 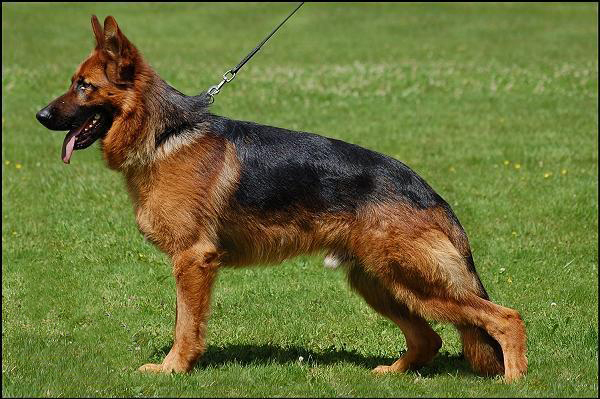 Another Well Trained German Shepherd From the ZWINGER VON HIMMEL Program. ONLY SERIOUS INQUIRIES ON THIS HIGH QUALITY FEMALE PHONE 207 843 5405. 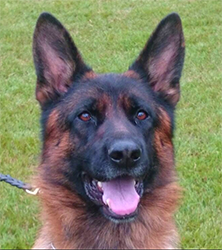 This Male has Basic Obedience Training and is Great with Children. SERIOUS Inquiries Phone 207 843 5405. My name is Zonia & I did indeed purchase a "sable" shepherd from Roger. I'll start at the beginning because you will them totally understand a great deal about "WHY" you will never be sorry if you get a chance to purchase a shepherd from Roger. 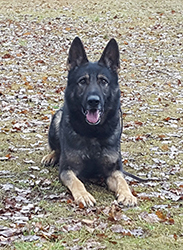 Roger is not only very experienced in every aspect of the german shepherd, but he is also an extraordinary very wise man. First of all, I was not forced to write this, nor instructed on what to say, this is written from my own words and comes from the heart. Since I was a little girl, I have always wanted a german shepherd, mostly because I learned at a very young age how intelligent (#1) this breed is. Long story short, there were three occasions in my life, where I was seriously considering on getting a german shepherd and actually bought the "Monks" book on how to raise german shepherds back when I was in my 30's. 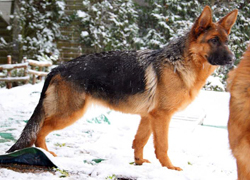 It just never seemed to be the right time, as through the years we chose to have cats, but I never gave up on the idea to have a german shepherd someday. Fast forward, near 60 years old now, recent marriage to a man who had 4 german shepherds in his life & that he sled trained. We are currently raising goats and chickens and down to one cat AND moving to Missouri to retire. Yes, time now for MY dream to come true...MY GERMAN SHEPERD! 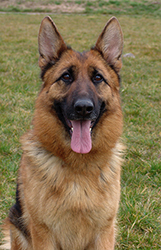 I've ran my own successful corporation & other businesses and have many professional jobs and am also an avid researcher...so...I dug into many avenues to find a german shepherd, from adopting, rescue, puppy mills (not wanting to go this way at all but just checking things out )and to where I've researched many times before in the past...and that is, "professionally trained and raised purebred german shepherds. 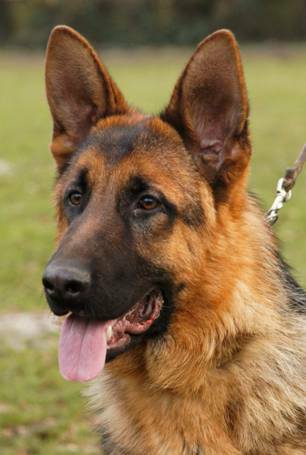 It was an easy decision after the researching as I really didn't want to start with a puppy after all, too much work and time that I really didn't have, so with that being said, I figured on getting a german shepherd that had some additional protection training (I was a correctional officer also so I was fascinated with K-9's that would assist us when needed). So I had saved the Zwinger Von Himmel site to come back to after I narrowed it down. 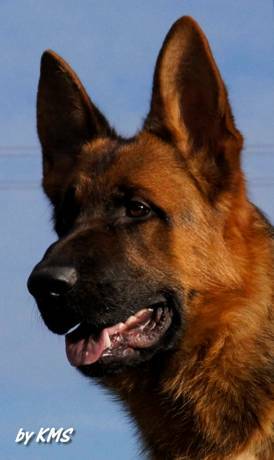 Now, let me just say, that I wasn't sold on the idea that there were no prices listed AND there were so many of the german shepherd dogs pictures but they were all sold. But I did appreciate that there was so much information on the breed, etc, that it impressed me, so I had to call. After talking with Roger for a while, I liked his tone, his professionalism, his wisdom, but I still needed to know before I sent off that large sum of money if I was really going to get a "great" dog. So, I did some more research and found some other clients who had not only purchased dogs from Roger, but were training them further for K-9 units, Wounded Warrior projects and such, etc. (you can search the web yourself - I used the ZwingerVonHimmel) and contacted them. I didn't inform them that I had talked to Roger, I just wanted to get information from them and see what they had available and how happy they were with the dogs they received from Germany. Well, I only had to call one of Roger's clients and was so thrilled to hear how awesomely happy they were with the dogs they had purchased (5) from Roger. That's all I needed to hear, so I contacted Roger for the go ahead to FINALLY get the shepherd that I've always wanted. 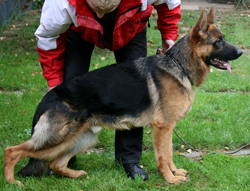 ***Here comes the important part...YOU MUST just "trust" Roger and "know" that he will pick the right dog for you!!! 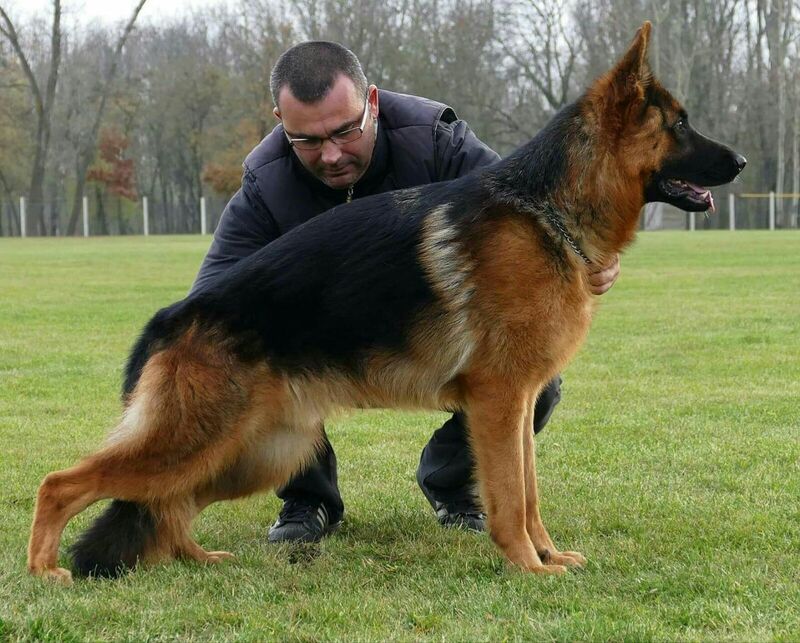 He has an innate ability that comes from his passion and the love he attains for this awesome breed. He has experience way beyond what most people can even comprehend and I not even sure if he is totally 100% aware of it. I love that this man, cares so deeply about EVERY single dog that he gives as a gift to YOU! Every client must meet his expectations or YOU WILL NOT GET ONE FROM HIM! Thank God/Creator I say! I wouldn't want to receive a dog from anyone who doesn't genuinely care and just does it for the money. I also learned how much the trainer's really care for each one of these shepherds and did receive confirmation and proof of such. I've left my contact information with Roger to pass along if anyone should wish to contact me for any additional information. Young TOP WEST GERMAN BSP WORKING LINE From The Zwinger Von Himmel Program, Excellent Quality and Pedigree. 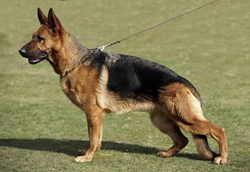 Our German Shepherds Have SUPER TEMPERAMENT, are Good with Children and Well Proven German Competition Bloodlines. 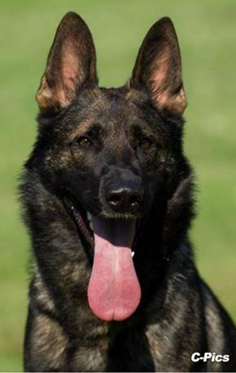 Protection, Obedience, Watchdog, Breeding, Work, Police, Service Dog, Show, Therapy Dog, Search and Rescue, To Name a Few. 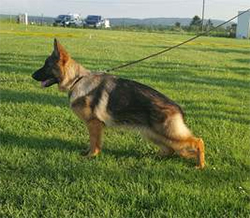 For an EXCEPTIONAL QUALITY German Shepherd SERIOUS Inquiries Please Contact Roger at 207 843 5405. Well Trained Female, High Quality Family Protection Dog, Watch Dog, Also Show Rated as Excellent In Germany, Obedient, Good with Children, Excellent Temperament and Quality. SV German Pink Paper Pedigree. 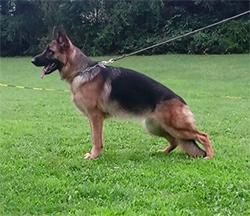 SERIOUS Inquiries Contact ZWINGER VON HIMMEL on This EXCEPTIONAL German Shepherd. PHONE: 207 843 5405. REFERENCES AVAILABLE WORLDWIDE. TOP QUALITY Black and Red Trained Female with Excellent Temperament, Excellent Show Rating in Germany, Good with Children, High Quality Trained Family Protection Dog, Very Good for Continued Working Dog, Shows and Breeding. SV German Pink Paper Pedigree. SERIOUS Inquiries Phone 207 843 5405. 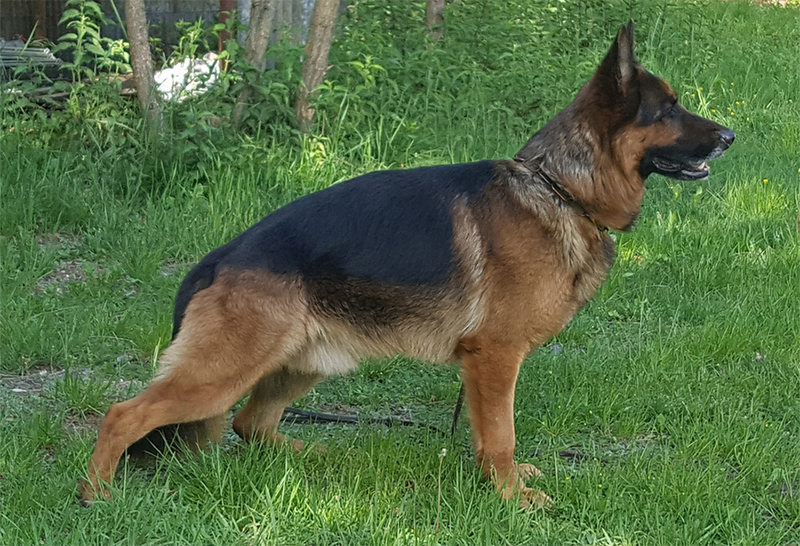 SV German Pink Paper Pedigree, Proven German Direct Bloodline, Excellent Temperament, Good with Children, For More Information SERIOUS Inquiries Phone 207 843 5405. 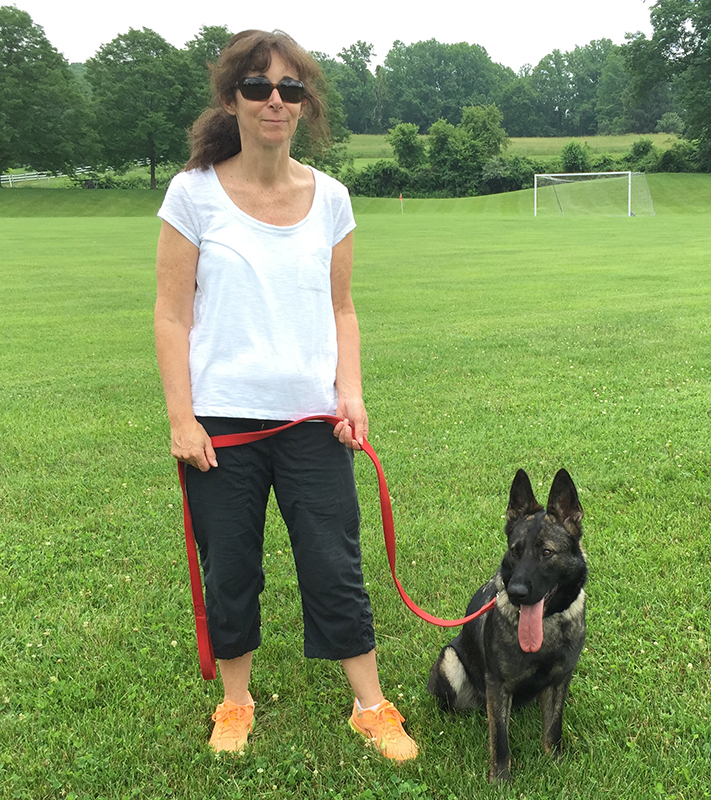 Super Trained Family Protection Dog, Companion, Schutzhund / IPO Sport Dog. Contact Roger For a TRAINED GERMAN SHEPHERD. 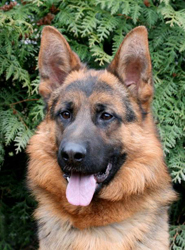 Roger has Several Levels and Catagories of Trained German Shepherds Available to Fit Your Needs and Lifestyle. Professional Training, Proven German Titles, Exceptional Temperment and Quality ! 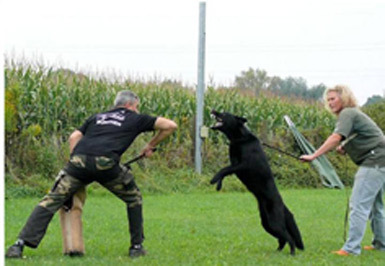 Home Protection, Watchdog, High Level Schutzhund / IPO Sport, Well Trained Family Companion. Obedience and Protection Trained Top German Workline Male, Good with Children, Good Bitework, Easy to Handle, High Quality Family Watch Dog, Excellent Temperament, Well Proven German Bloodline, SV German Pink Paper Pedigree. Serious Inquiries Phone 207 843 5405. HOME INVASION STOPPED BY TWO PROTECTION TRAINED GERMAN SHEPHERDS FROM THE ZWINGER VON HIMMEL PROGRAM ! ! ! SG and V Show Titles , SHOWN 13 TIMES ALWAYS HIGH RATED !!! Well Proven Male with Master Level Work Title and Excellent Temperament. He Knows The House, Car and Kennel, Balanced Drives, Good with Children. Excvellent for Continued Work and Top Shows. 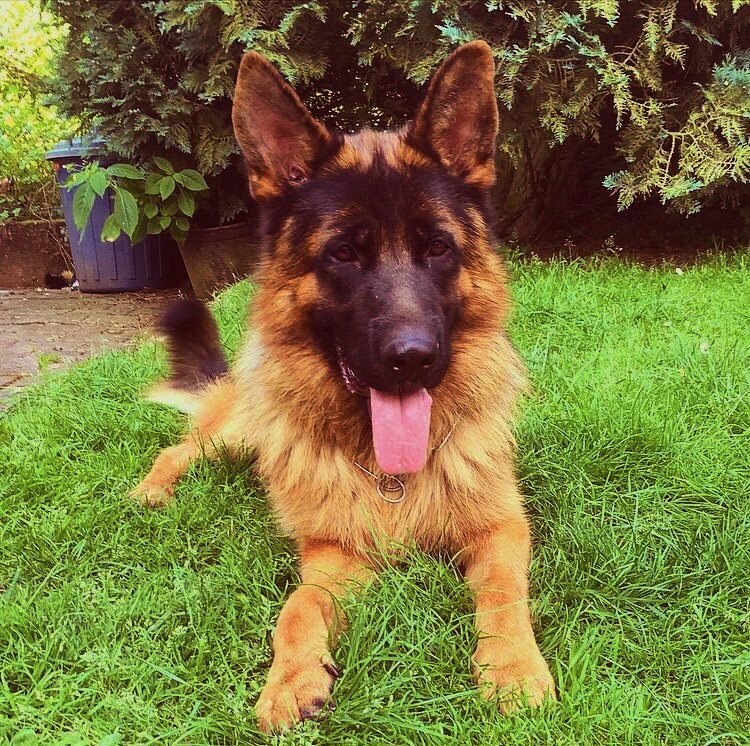 Super Quality Family Protection Dog, Alerts To Strangers and Noise, SOLID Nerves. TOP CREDENTIALS!!! SV German Pink Paper Pedigree. SERIOUS INQUIRIES Phone 207 843 5405. Show Rated Male Started in Obedience and has Very Good Bitework, This is a POWERFUL SHOWLINE, Excellent Temperament and Good with Children, Very Good Play Drives , Excellent Structure and Colors. 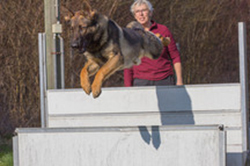 HIGH POTENTIAL For Shows and Continue Schutzhund, Protection, IPO. 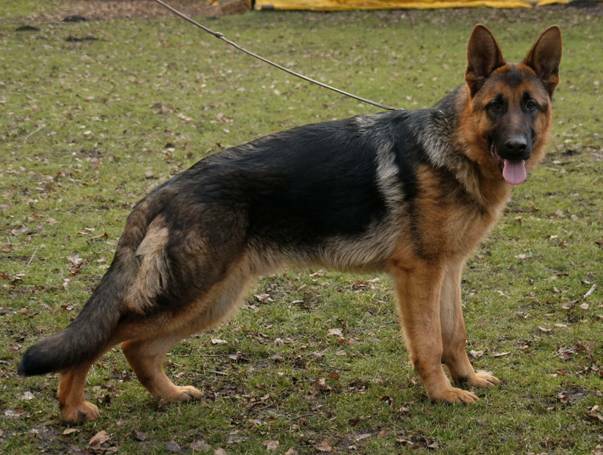 Also Good For Families That Want A SUPER Quality German Shepherd. TOP SV German Pink Paper Pedigree. SERIOUS Inquiries Phone 207 843 5405. Easy To Handle Male that is Good with Children and Dogs, Well Socialized, Knows the House, Car and Kennel, Has Basic Obedience Training, Started in Schutzhund, Many Times "Very Good" Show Rated in Germany. SV German Pink Paper Pedigree. SERIOUS Inquiries Phone 207 843 5405. 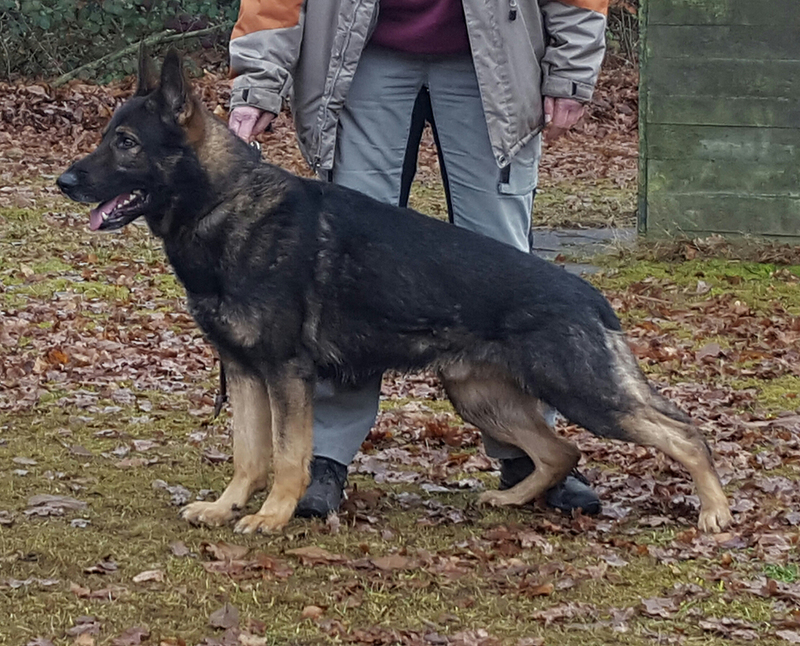 Well Trained Male with Excellent Obedience and Protection Work, Good with Children, Very Good Play Drives, Excellent Temperament and Character, Direct German Sieger Pedigree, Good in the House, Car and Kennel. SV German Pink Paper Pedigree. SERIOUS Inquiries Phone 207 843 5405. 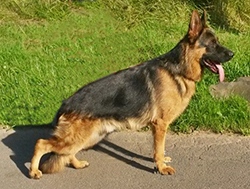 This Female has Basic Obedience Training and Good Bitework. She is Good with Children and Dogs, Excellent Temperament, Trained for the Car, She is Easy to Handle. 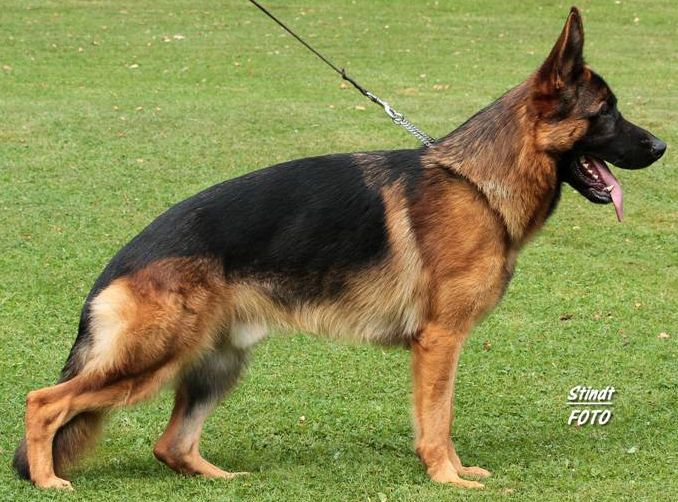 TOP GERMAN SIEGER SHOW PEDIGREE. SV German Pink Paper Pedigree. SERIOUS Inquiries Phone 207 843 5405. 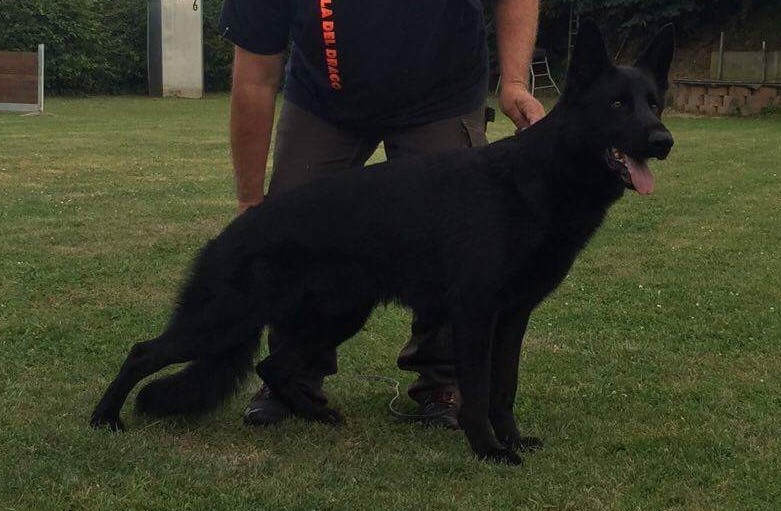 High Quality WEST GERMAN Proven Female, Excellent for Schutzhund / IPO, Top Breeding Program, Sport, FAMILY WATCHDOG / Protection, Good with Children, Good with Dogs, VERY WELL TRAINED, Proven Producer with Pups, Excellent Temperament, Knows the House, Car and Kennel. 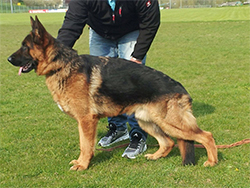 TOP RATED DIRECT GERMAN BLOODLINES To the BSP, LGA, BUNDES FCI. SV German Pink Paper Pedigree. SERIOUS INQUIRIES PHONE 207 843 5405. 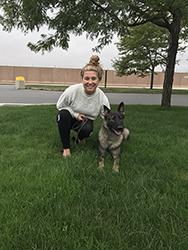 To set up an interview please contact us by phone to discuss the needs of the trained german shepherd that would fit your lifestyle. 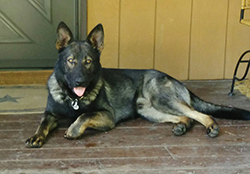 This Young Male has an Excellent Temperament and is Very Good with Children, He is Good with Dogs, Has Good Play Drive and is Easy To Handle, He is Started in Obedience and Bites the Adult Schutzhund Sleeve, Very Good Bitework, He Alerts to Strangers, Good Family Watch Dog, Excellent Character, Knows the Car, House and Kennel. SV German Pink Paper Pedigree. SERIOUS Inquiries Contact Us at 207 843 5405. Black and Red Direct German VA Son. Excellent Temperament, DNA Certified, Good with Children, Good in the Car, Crate and Kennel. High Play Drive, Bites The Young Adult Sleeve, Started in Schutzhund, Easy to Handle and Is a Good Worker, Has Excellent Nerves and No Fear, A Super Showline German Shepherd. SV German Pink Paper Pedigree. SERIOUS Inquiries Phone 207 843 5405. Beautiful Black and Red Female, Very Good Colors and Head, Excellent German SV Pink Paper Pedigree, Good with Children, Good Play Drives, Knows House, Car and Kennel, Excellent Dog For Family or Future SHOW - SCHUTZHUND Prospect, SERIOUS Inquiries Phone 207 843 5405. 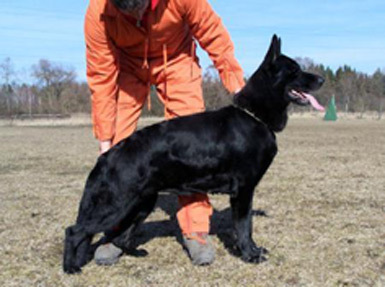 Black and Red Young Male with Basic Obedience Training, Started in Schutzhund, Good with Children, Good Play Drives and Easy to Handle. German SV Pink Paper Pedigree. Serious Inquiries Phone 207 843 5405. 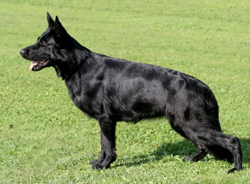 Exceptional German SV Pink Paper Pedigree, Deep Black and Red Color, Very Good Expression, Good with Dogs and Children, Rides in Car. Easy to Handle, Started in Bitework, Good Play Drives. SERIOUS INQUIRIES CONTACT Roger Tortorella at 207 843 5405.